I did it. Not that I didn't think I could, but it's official and felt great. 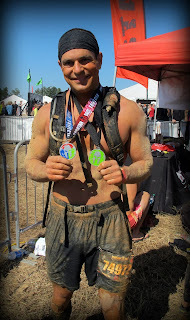 I completed the South Carolina Spartan Beast this past Saturday - a 13.2 mile race in the middle of nowhere'sville South Carolina, giving me a trifecta of Spartan races for the year (completion of a Sprint, Super and Beast in one year). 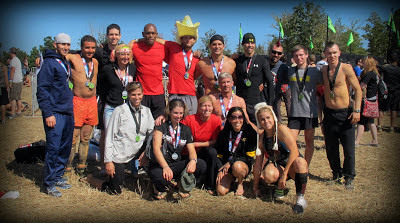 This was my 5th Spartan race for the 2012 race season - The PA Sprint, Virginia Super, NJ Super, and the Killington Beast. After the Vermont debacle 3 weeks ago, this really was redemption. And to top it all off, I did it on my 39th birthday followed by my 12 year anniversary on Sunday to my beautiful wife Gretchen. The weekend started on Friday with a long 10+ hour drive from PA to South Carolina with my buddy Jason Moss and friend Heather Powell. Gretchen flew down with another friend of ours who is a flight attendant and had a buddy pass, then meeting us at the hotel. The 8am elite start on Saturday morning came quickly and we were off. The air was pretty chilly, but after a mile or so I was sweating as usual. I really loved this course. The up and down hills were short but steep, the terrain and obstacles were fast but challenging. Thinking back on it, I could have completed it faster, but I always think that after a race. The barbed wire crawls were pretty brutal - up hill and long. I did mess up on the traverse wall (a first for me) and had to do 30 burpees. It was pretty slick and freshly painted. The tyrollean traverse went well this time after having experienced it in two other races. All in all a great day. 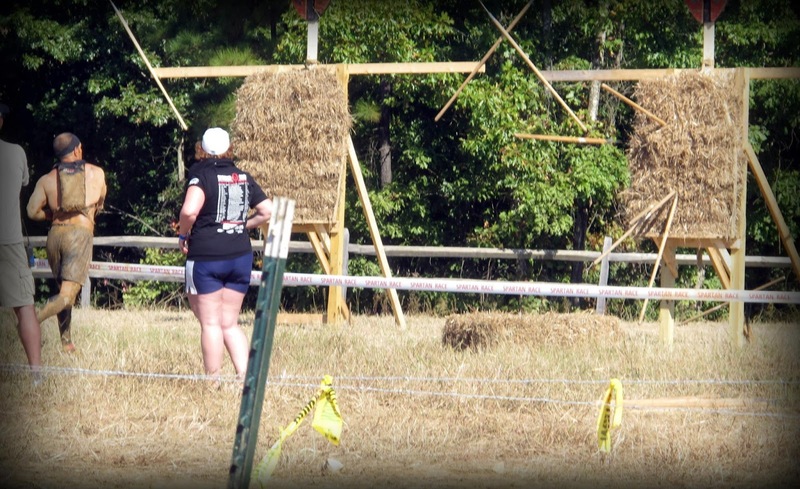 The photo above is very meaningful as well because it's the first time in all of my Spartan races that I nailed the spear throw. Not having to do 30 burpees at the end of the race was a welcome birthday present. Then it was over and time for the looooong 10+ hour ride home. Always a let down when its all done after thinking and prepping for a race for so long. It was great to see so many amazing people who travel from all over to compete in these races. Like a welcoming family. I'm still feeling the high from the weekend and look forward to seeing the action photos from Nuvision in a few days. Next up....Boston Fenway Sprint or Texas Beast? It's taken me a couple of weeks to circle back to this. I never followed up my previous post about the Killington VT Spartan Beast for a couple of reasons - disappointment and embarrassment. 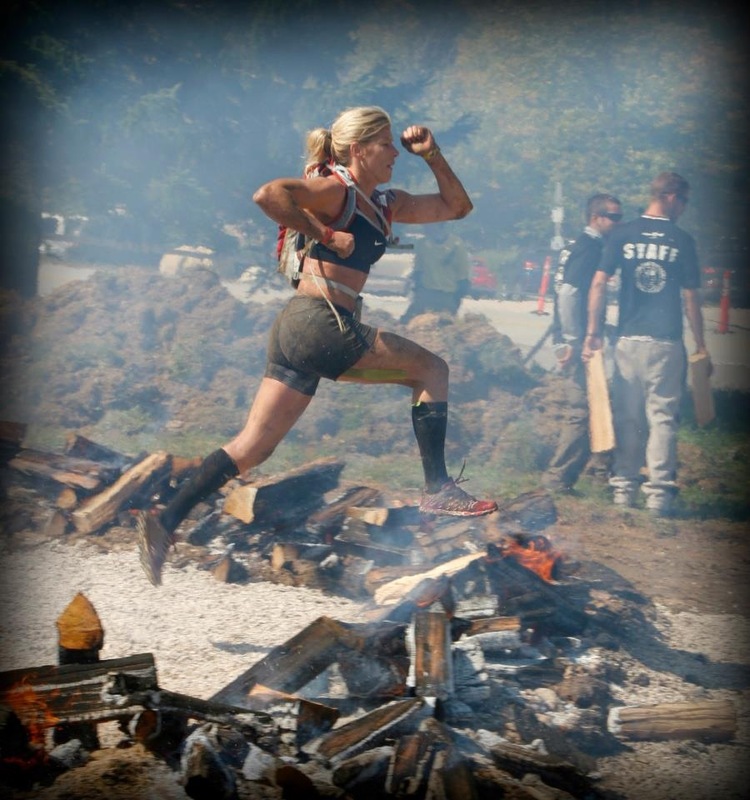 I've been training almost 7 days a week for the past 2 years for various races culminating in the biggest one of all - The Spartan Beast in Killington VT - a 13+ mile race from hell. I was ready physically and mentally (for the most part) for the challenge. What happened on the mountain was unexpected and disheartening. The start of the 8am race was crowded with Elite racers and Ultra-Beast racers. It was sunny and chilly - perfect racing weather. After the opening ceremony and the reciting of the Spartan creed, we were off. 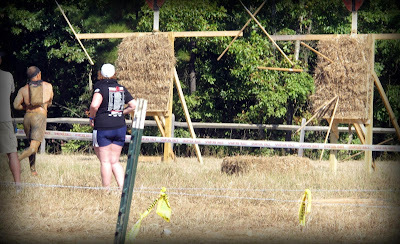 Gretchen and I ran together briefly through the mud pits and water spraying until she started to pull away in the second mile. Heading up the steep mountain through the woods, the crowd started to spread out a bit. By the time we got to the top of the peak, Gretchen was a minute or two ahead of me and it was time for the first downhill portion of the race. I'm still not entirely sure where it went wrong, but what I think happened was this - Someone missed a turn off to the left of that downhill portion, and a huge crowd (including me) of 60-80 people kept going straight. If we had taken the turn off, we would have gone back towards the start of the race where there were a good number of obstacles for a 3 mile loop connecting back to the same downhill we were running on. This is why none of us realized we had done something wrong. The flags continued on that slope and we ended up at the sandbag carry at the bottom of Bear Mountain. I completed the sandbag carry, the ski sled pull, and the tyrollean traverse across a lake. Thinking back now, it was odd that the volunteers didn't seem ready for us, but we kept going. Then it was time for the steepest climb of the race - through the woods up Bear Mountain to the highest peak. It was beautiful and challenging, and once at the top it was time for a quick rope climb. After the rope climb (this was about 8-9 miles into the course) we were stopped by the course directors - they seemed unsure of what to do. They informed this large group of racers that we had missed a portion of the course and had 3 options: go back and do it again, come back tomorrow and do it again, get an entry into another race. I opted to finish out the remaining 2-3 miles of the course (with my chip clipped) and would run another race - I just could not see myself going back down that mountain and coming back up again. We were also leaving early the next day, so rerunning the course was not an option the following day. I was very discouraged to go out like that after so much training. They did give me a medal, but it's tainted for me and won't count until I complete a beast. The plus side was that I was able to see Gretchen cross the finish line for the first time after me though and get some good photos of her :) I'm always so proud of her. 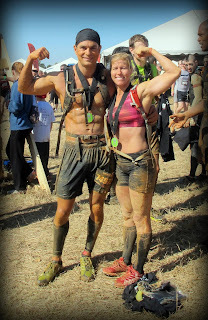 Gretchen and I are now registered in the South Carolina Spartan Beast this coming weekend. The race is on October 13th - my 39th birthday, and the following day is our 12 year wedding anniversary. This is our 5th Spartan Race this year - PA Sprint, NJ Super, Virginia Super, Killington Beast. It will also make my trifecta official. BIG weekend. Redemption time.